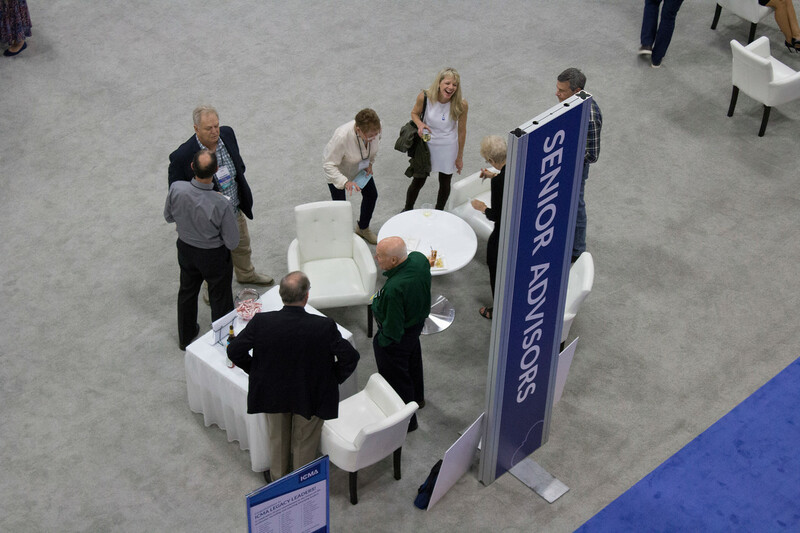 Senior Advisors are retired managers with extensive experience who volunteer their time to provide a unique source of outside advice to their colleagues. They are selected jointly by the state sponsor and the ICMA Executive Director. If you know of anyone who might be interested in serving as a senior advisor, please contact the NCMA President. Don Eikmeier began his local government career in 1975 as a Planner for the North Central Regional Planning Comission in Kansas. Between 1978 and 2007, he has served in the State of Nebraska as an Economic Development Planner for the Southeast Nebraska Development District and as an Administrator for the Cities of Seward, La Vista, and Elkhorn. He served as the Administrator for the City of Cherokee, Iowa, until his retirement in 2016. Don has been serving as an ICMA Senior Advisor since June, 2018. The following individuals faithfully served as Senior Advisors (formerly Range Riders) for Nebraska. Frank Koehler began his municipal government career in Phoenix, Arizona. After serving as Administrative Assistant to the City Manager in Highland Park, Illinois, Frank became City Manager in Scottsbluff, Nebraska in October, 1961. Frank served as Scottsbluff City Manager for eighteen years until July, 1989. He was Vice President of the International City Management Association and President of the Nebraska City Management Association. In August, 1989 he was selected as Senior Executive in Residence, Department of Public Administration, University of Nebraska-Omaha. Frank retired in August 1997. After his retirement, Frank was the first Range Rider of the Nebraska City Management Association. In October, 1998, he was the first recipient of the Jack Kidder Memorial Award for Public Service, presented by the Nebraska City Management Association. Frank served as Nebraska Senior Advisor until his passing January, 1999. Lloyd Castner began his career in city government in Oregon, where he served for fourteen years. He joined the International City/County Management Association (ICMA) in 1958 while serving as Assistant City Manager in Eugene, Oregon. Lloyd also served as City Manager of Ontario, Oregon and was President of the Oregon City Management Association in 1970. Lloyd joined the Nebraska City Management Association (NCMA) in 1971 after being named City Administrator in Bellevue, Nebraska. While in Bellevue, Lloyd served as President of NCMA in 1973 and as chairmen of an ICMA committee relating to cities and their adjacent military bases. Lloyd was appointed as the first City Administrator in Columbus, Nebraska in March 1976. While in Columbus, he continued his involvement in ICMA and NCMA. Lloyd was President of NCMA again in 1982. In 1984 Lloyd and the City of Columbus received the Management Innovation Award from ICMA. The award was presented to them because the City of Columbus and Becton-Dickinson, a private manufacturer, worked together to meet their common needs through the construction of a public swimming pool which also serves as a water storage facility for Becton-Dickinson. Lloyd received a lifetime membership from ICMA in 1994. After eleven years as Columbus City Administrator, Lloyd was hired as Manager of Marketing for Nebraska Public Power District. He assisted several Nebraska communities with many economic development and community development projects. In 1996, Lloyd was hired by Kirkham-Michael Associates, a consulting and engineering firm, as a Business Development Representative. He retired from Kirkham-Michael in June 2006. Jean Robert (JR) Castner started his 33 year municipal career in Atkinson, Nebraska where he owned a Ben Franklin variety store and was elected part-time city clerk. He then served as City Manager of Herndon, Virginia. Later, JR was City Manager of Ames, Iowa and Sioux City, Iowa. In Ames, JR served as President of the Iowa City Managers Association, the Board of Directors of the League of Iowa Municipalities and vice president of the International City Management Association. After serving as City Manager of Sioux City, Iowa, J.R. was instrumental in the development of Dakota Dunes in South Dakota near Sioux City. Beginning in 2002, J.R. served as Senior Advisor of western Iowa, South Dakota and Nebraska. He died unexpectedly on April 11, 2005. Jack Sutton served as an ICMA Senior Advisor for Nebraska from June 2006 to June 2008. He served in local government for seven years prior to coming to Nebraska. He was Assistant to the City Manager in Hutchinson, Kansas from 1960-1962; Local Government Research Associate for the Missouri Public Expenditure Survey, Jefferson city, Missouri from 1962-1965; and Assistant to the City Manager for Budget and Research in Boulder, Colorado from 1965-1967. Jack is a graduate of Kansas State Teachers College, Emporia, Kansas with a B.A. in Political Science and Latin. He holds a Master’s Degree in Public Administration (MPA) from Kansas University. Jack joined the Nebraska City Management Association (NCMA) after being named City Administrator of Fremont, Nebraska in 1967. He added the duties of Finance Director to his administrator duties in March, 1982. Jack served as President of NCMA in 1979. He also has a lifetime membership in the International City/County Management Association (ICMA). Jack served in Fremont until his retirement in 2003. Major accomplishments during his tenure include: construction of a regional library facility; acquisition and development of new water well field and construction of water storage facilities; acquisition and development of five new city parks; acquisition of natural gas distribution system; and construction of a two-phase multi-million dollar interceptor sewer system. A high point in Jack’s career was the public’s approval of three one-half cent sales tax proposals in 1994, 1996 and 1999, which provided funding for public safety, property tax relief, infrastructure and economic development. Jack received the ASPA Public Excellence Award in 2000 and the League of Nebraska Municipalities LEAD Award in 2003.